Hey dearies! You are probably wondering why you are getting a Crafty Sassy on a Friday, so let me tell you why! Since this coming up week will be the beginning of October, I have decided to go live twice, for the month of October! So, I wanted to show you guys how to make this flower pin, because it also goes with the headband I showed you guys how to make on Tuesday. So, I will be going live on my Facebook Page. More information on that will be at the bottom of this! Any color of your choice. Since this flower goes with the headband, you can match a color to go with it or whatever color you feel works best! It doesn’t required any fancy pin, a safety pin would work find as well! Step 2: Double crochet in the 3rd chain from the hook. Double crochet in every following chain across. Step 4: Fasten off and make sure you leave a long tail because we will be using it to sew the flower altogether. Step 1: Loosely arrange the layers to form a flower. Step 2: Using a threaded yarn/sewing needle, stitch each layer of the flower together, ending on the back side. Step 3: Draw the threaded needle through the pin back. Secure the pin back onto the back of your flower and cut the excess yarn to complete the flower pin. And your done! Having a pin, on the back of your flower, can make it so you can wear it on hats, scarfs, headbands, necklace, etc. So there’s not just one use for this project. Anyway, I will be going live tonight on my Facebook Page. If you haven’t like my Facebook Page, here is the link! Let’s talk about the NEW plans for the month of October! I plan on bring Crafty Sassy to you on Tuesday’s and Thursday, just for this month! Instead of the normal stuff that is for beginners and such, I’ve decided to make this month a ‘holiday special’. I will be doing the same for November and December. If you have any projects that you want me to show you how to make, leave a comment down below, message my Facebook page, or even e-mail me at katie_farrington@aol.com! So, there was a tie on my Facebook page on whether I should make the Rose or the Headband, but since the headband has been in the last few polls, I figured I would show you how to make one. Now, I haven’t mastered this pattern completely, but it is a very fun pattern to make! Especially, if you are a beginner. The Rose actually goes with this headband, so I figure we can make the headband and I then can show you how to make the rose and show you how to put it on, as well. I decided to used the ‘I Love This Yarn’ multi-color yarn to show you guys what it should look like. And of course, a sewing needle! Step 1: Chain 44. Now, found it easier to count out loud, while making the chains, just so I don’t lose track of how many chains I made. Step 2: Make 2 double crochet’s in the 3rd chain from the hook(NOT counting the chain that the hook is on!). *Skip 2 chains, single crochet in the next chain. Chain 2. Make 2 double crochets in that same stitch. * Repeat until you reach the other end, then make a single crochet in that last chain. Note: The * represent where you start and end. Basically, you are repeating the same step until you reach the end. I will be putting in * to help you know what you need to do! A lot of crochet books use them and they are very helpful! 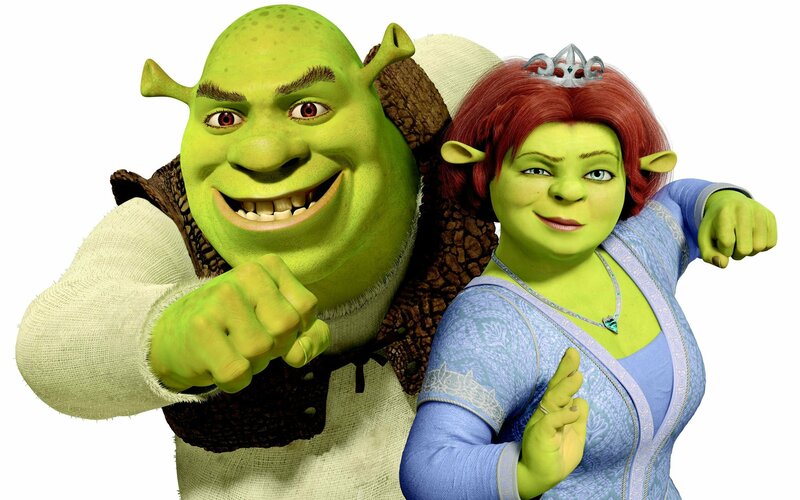 If you are stuck or need help, let me know down in the comments! Step 3: Chain 2 and turn your work. Make 2 double crochets in the next available stitch. *Single crochet in the chain-2 part of the work. Chain 2. Make 2 double crochets in that same space. * Repeat until you reach to the other side and then single crochet the top of the last row. Step 4: Repeat Step 3. Twice. You should have 4 rows altogether. Step 5: Chain 30. Then slip stitch to the opposite side of your project. Slip stitch across that small side and then chain 30. Slip stitch to the other side and slip stitch across that side. Once you are done, cut your yarn and pull your crochet hook up and pull that end piece of yarn tight. Step 6: Sew in any yarn that is hanging around and then you are done! Note: If your headband does not fit, you can always 4 chains add or decrease 4 chains, to fit your size head. If you are looking for it to fit a baby or child’s head, this might not be the project for that, but you can try and make it work! For Example: If the headband was too small, I would chain 48. If the headband was too big, I would chain 40. If you have any questions, feel free to ask me! I’ll try my best to help you out! Also, don’t forget to check out my Facebook page, I have a poll up every week on what project I should do next! Since Halloween is just around the corner, be prepared to be Spooked! Hey dearies! 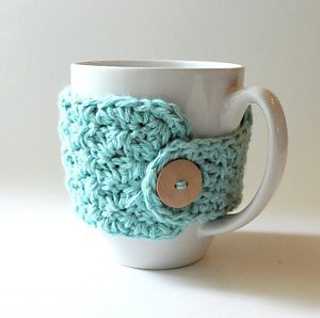 So, today I am going to tell you how to make these super cute mug cozies! Since summer is slowly starting to change into fall, I figured I would show you how to make these cozies, which are perfect for giving away, with mugs, as a gift for the holidays! This was also the winner for me to make on this weeks Facebook Live! If you don’t know anything about that, scroll all the way down for more information about it! Step 1: Make a slip knot onto your crochet hook and chain 8. Step 2: Single crochet and double crochet in the 2nd chain from the hook. Remember, we are NOT counting the chain that is on the hook itself. Step 3: Skip the next chain and then single crochet and double crochet in the same chain. Repeat this til you are at the end of row 1. Chain 1 and turn your work. Step 4: Skip the next stitch and do a single crochet and a double crochet in the next stitch. Repeat til the end of the row. Chain 1 and turn your work. Repeat this step until your work measures 8 in., from the beginning of your work. Step 5: Skip the first stitch and slip stitch in the next 2 stitches. Then do 1 half double crochet in the next 4 stitches. Chain 1 and turn your work. Step 6: Now, we are going to work on the buttonhole strip for the next 4 stitches. Do 1 half double crochet in each stitch. Chain 1 and turn your work. Repeat this step until your buttonhole strip measures 2 in. long. You can always put a marker, if this helps with keeping track from where the buttonhole strip starts, you don’t need to do this, but it can help with making sure it’s measured correctly. Step 7: Do 1 half double crochet in the first stitch. Chain 2. Skip the next 2 stitches. Make 1 half double crochet in the last stitch. Step 8: This step, is for making a boarder around the project. Work a single crochet stitch evenly around. Working 3 single crochets in the corners and 2 single crochets in the chain 2 buttonhole space. Join them all with a slip stitch in the first single crochet from where you started. Step 9: Fasten off the extra strands into your project and sew on your button! Then you are done! *Tip* – For attaching the button, wrap your cozy around your mug so you can see where you want to put the button. Mark it with a pin, thread your needle and sew on the button, making sure to remove the pin. You don’t have to do this, but it was very helpful for me! I will be going LIVE on my Facebook page, showing you how to do this. If you haven’t already liked my Facebook page, please do! I give updates on my blog and YouTube channel. I also post polls on what I should make next on my Facebook page, and which ever one wins, I go live and show you how to make them! Today, we are going to talk about the most basic and easier square you can crochet. Granny square can be used to make mini squares, or one giant square! 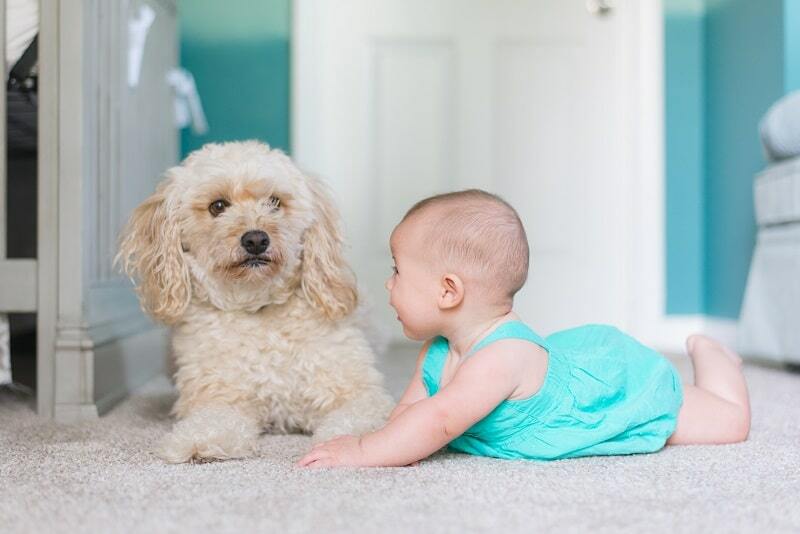 We are going to make a small, simple one. I am going to point out that everyone has their way of crocheting the granny square. So, if you don’t think it looks right or you don’t like that pattern, then you can always search and find a pattern that works for you! So, one of my kinda BIG crocheting projects, was the giant rasta color granny square, that I am making for my fiance. Its’ basically a giant granny square. It’s not done, but the bigger it gets, the more difficult it can be on your wrists. Remember: If you are a beginner, try to stay away from dark colors. For the hook, it doesn’t have to be that size, but I found it was easier to work with in the video I watched. Now that we having everything we need, we can get this project started! Step 1: We are going to create a slip knot and pull tightly onto our hook. We are then going to chain 6. Then slip stitch the other end of the chain. Step 2: Now that we have our circle, we are going to start by chaining 3 (Remember: This counts as 1 double crochet.) Then we are going to double crochet 2 times into the circle. I left a picture done below, just in case you need a refresher. Step 3: Now, we are going to crochet 3 double crochets in the ring and then chain 3. Do that 2 more times. You should have something like this. Slip stitch in the top of the chain to fasten off the base of the granny square. Step 4: Now we are going to create the second row of the granny square. You can add on another color, if you would like, I’ll leave a picture down below showing how you can do that. -Work 2 double crochets. Chain 3. Work 3 double crochets. Chain 1. Step 5: 3 double crochet, chain 3, 3 double crochet, chain 1, into each space. Slit stitch to finish the second row. Depending on how big you want your square to be, you are basically repeating steps 2-5. I will be working on a video tutorial and create another blog post for those who aren’t beginners and just want the simple pattern. So, the winner to my Facebook page’s poll was the Hanging Towel Holder! Today, I am going to show you how to make these awesome hangers. I will also be going LIVE, on my Facebook page, showing you how to make these hangers. If you are intersected, I will leave the link to my page, don’t forget to like my page, so you don’t miss out on any of my lives! Before I get started, I want to say thank you to Naztazia, she is the one who made the pattern available to use for free and also created a YouTube video on how to make this towel holder! Step 1: Decide on whether you are going to use 1 or 2 thin bracelets or the super thick hair ties. Then, make a slip knot on to your crochet hook. When I got live, on my Facebook page, I will be using the thin bracelets. 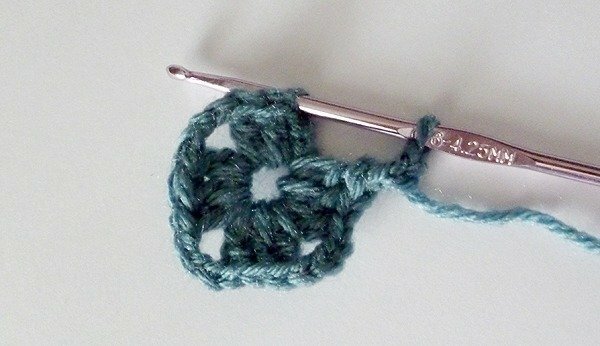 Step 2: Take your crochet hook and put it into the circle and yarn over, bringing the yarn back in the circle. 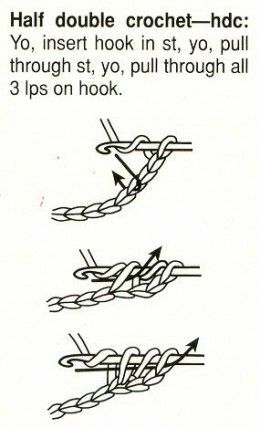 Pull it through all loops, making sure you only have one loop on your hook, making a slip stitch. Chain 3. Step 3: Once you have chained 3, take your crochet hook and put it back through the bracelet, yarn over, just like you did for creating the slip stitch, but instead of making another slip stitch, we are going to double crochet. Here is a picture on how to double crochet, just in case you forgot. Step 4: You are going to double crochet 50 stitches, add more or less depending on the size of the bracelet or hair tie. When you get to the last one, slip stitch to close the ring. Step 5: Chain 1. Then, make 8 single crochet stitches across. Here is a picture down below, just in case you forgot. Step 6: Chain 1 and turn your work. Step 7: Keep making single crochets across for 17 rows. Make sure you chain 1 and turn your work after finishing each row. You can use a row counter if that helps you remember how many rows you have left to do. Step 8: Once you are done row 17, chain one and turn your work. This next part can be tricky, so I’m going to break it down, so you don’t get confused. You are going to single crochet in the first one, but instead of yarning over, you are going to go into the next stitch and single crochet, you should have 3 loops on your hook. This is called a single crochet decreased. Yarn over and pull the yarn through all hoops. Next, half double crochet in the next stitch. Here is a picture, just in case you forgot, but it is basically doing a double crochet, instead of pulling through 2 twice, you pull through all of the loops. In the same stitch, that you did the double crochet, crochet 2 trebles. Here is a picture down below, just in case you forgot. In the next stitch, do 2 treble crochet. Double crochet, in the same stitch you did your trebles. Half double crochet in the next stitch. Single crochet the next stitch, but we are going to do another single crochet decrease, just like we did for the start of this row. End the project, but cutting the working yarn and pulling your hook up. Sew in the tail into the project. Step 9: Sew the button onto the project, make the button in the middle, just above the ring. In between the ring and the first or second row. Sew and cut any wondering strands of yarn. You’re done! Don’t forget to check out my Facebook page, where I will be going LIVE, showing you guys how to make this. I also want to give you guys an update that because I now have a better camera to show you guys how to make these amazing things, make sure you check out my YouTube channel because I am going to try my best to add more content, like this, to it!